I have this shirt on today. I wear it every year on July 31. And again on October 10. In memory of my sister. Vicki was born 18 months before me...on July 31. She died at age 49...on October 10. 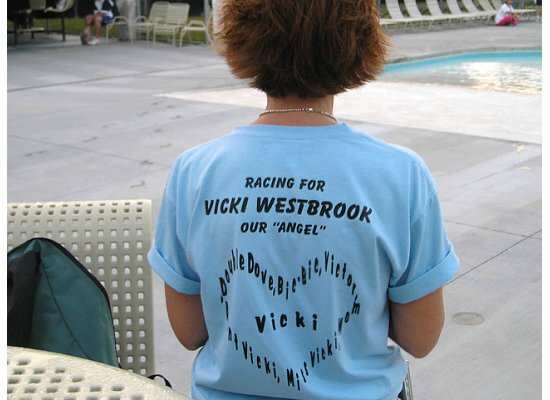 Hubs did a Triathlon a couple of years after her death in memory of her. 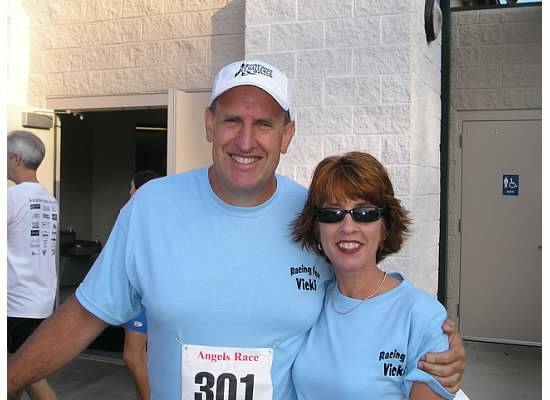 It was called "The Angel Race"....a race to honor all the *angels* in life. Happy Birthday Bic Bic, Double Dove, Mom, Sister, Victor, Aunt, Wife, Daughter and friend. Such a great way to remember your sister. No, we will never forget. Her memory is precious as always. Thank you for honoring our 'angel'. sure do miss you mom!!! thank you miss angelove for loving us like your own children. i find comfort in knowing we will all be together again one day! What a precious memory post. It is so hard to lose our loved ones, especially so young. May you see her in the heavenly realm! 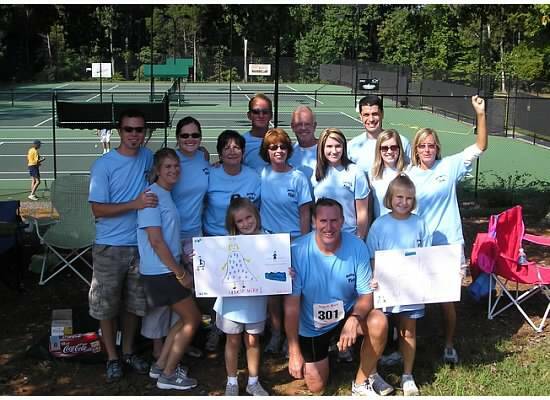 What a special way to remember your sister!